SNR’s Best-Kept Tennessee Highland Secrets . . .
Why make last-resort healthcare your first choice when preventive healthcare foods exist? Frank Mele started Good Shepherd after four years of working as a hospital orderly, followed by a tradesman’s life as a plumbing contractor. During his years of pursuing those careers, he experienced what many would consider an inordinate number of family and personal healthcare crises in his life. These experiences prompted him to search out better healthcare preventive avenues than questionable drugs and surgeries. The store’s “GOOD SHEPHERD” name literally fell onto the floor in front of the health foods store owner thirty years ago in the form of a cover title that dropped from a pile of books during some heated entrepreneurial discussions over what the business should be called. Both Frank and the store are still here. And both continue to grow. Mele has been an organic foods guru and guiding light in Cookeville since 1987. His store is located at 201 South Willow Avenue at the corner of Buffalo Valley Road. 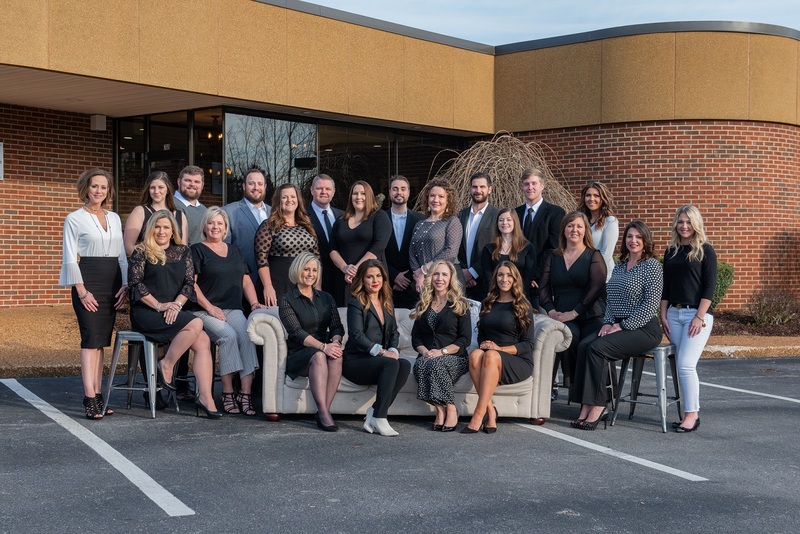 And if you stop by to see him —because some customers refer to him as a “Walking Google” of preventive care health foods— and he’s not there: his “like a son” Store Manager, Elijah, can surely answer your questions. Elijah’s been working there for twenty years. 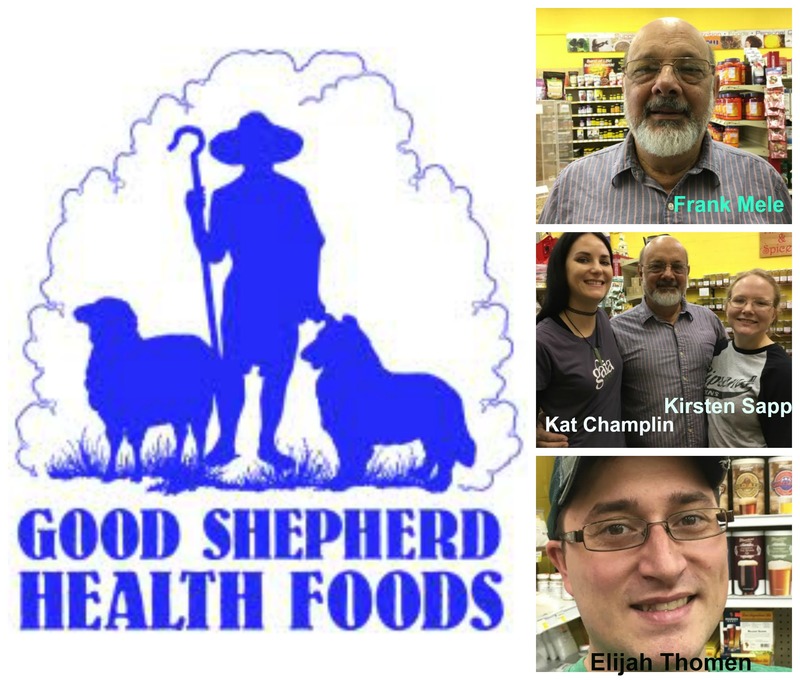 Good Shepherd Health Foods offers a wide assortment of vitamins, hand-scooped fresh nuts, grains, seeds, beans, rice, dried fruits, granola and other cereals, low- and no-fat desserts, beverages, oils, flour varieties, herbs, spices, table foods (including frozen meats and breads), seasonal specials like organic turkeys, lamb, and hams… Good Shepherd even carries a full line of homemade beer kits and supplies. Organic is the fastest growing sector of the U.S. food industry. Organic food sales increase by double digits annually, far outstripping the growth rate for the overall food market. Now, an unprecedented and conclusive study links economic health to organic agriculture. This research identifies 225 counties in the United States in organic hotspots — counties with high levels of organic agricultural activity that have neighboring counties with high organic activity — and then looks at how these organic hotspots impact key county-level economic indicators. 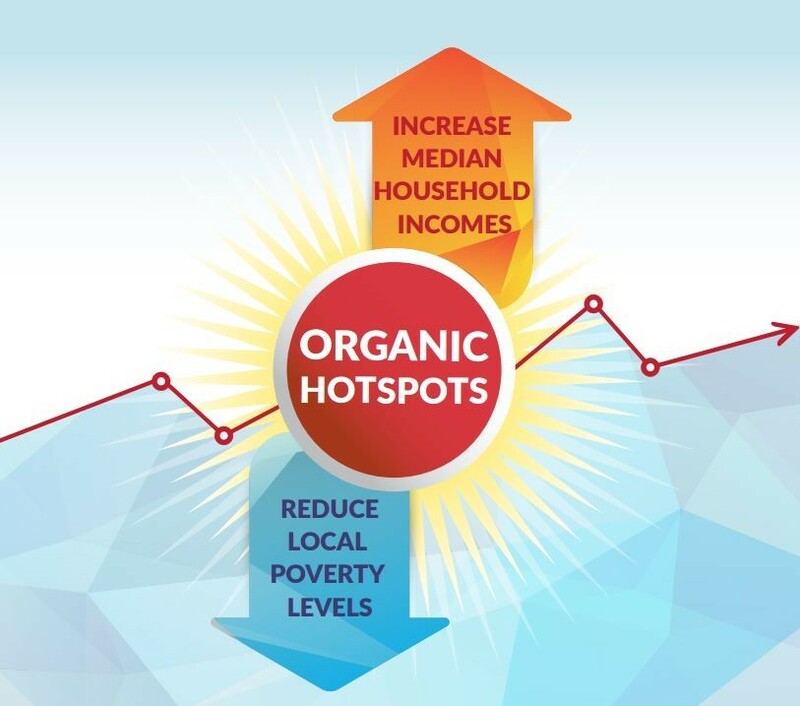 Organic Hotspots boost household incomes and reduce poverty levels — and at greater rates than general agriculture activity, and even more than major anti-poverty programs. Organic Hotspots increase median household income by over $2,000 and lower a county’s poverty rate by as much as 1.35 percentage points.